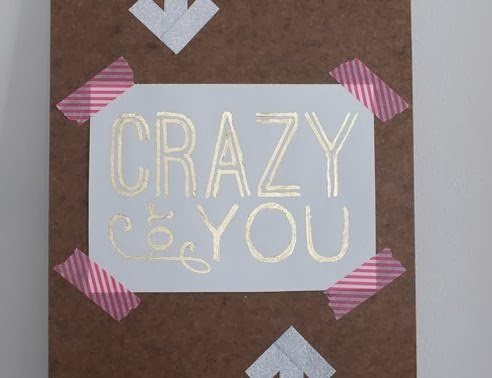 Ethne and I got together this past weekend, and we knew we needed to whip up some fun v-day crafts! I saw some GREAT inspiration ideas on a blog that I have started following, Teal and Lime. 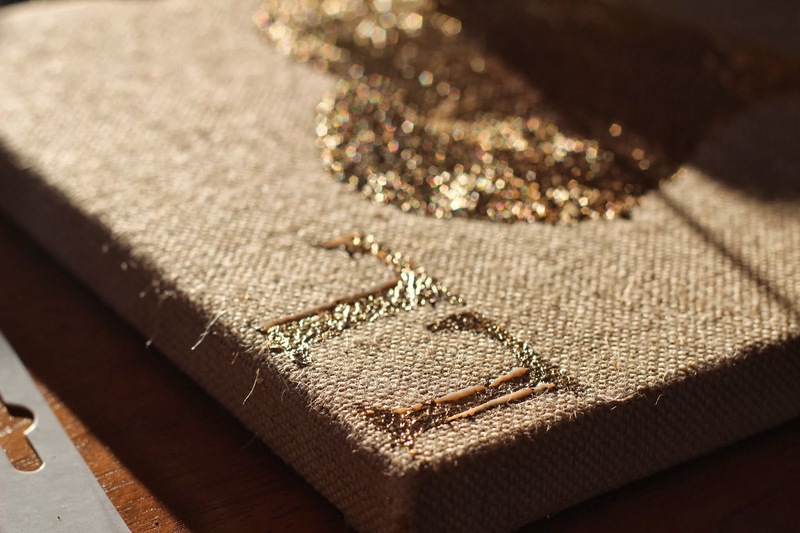 We wanted to do something similar using a canvas and gold leaf. 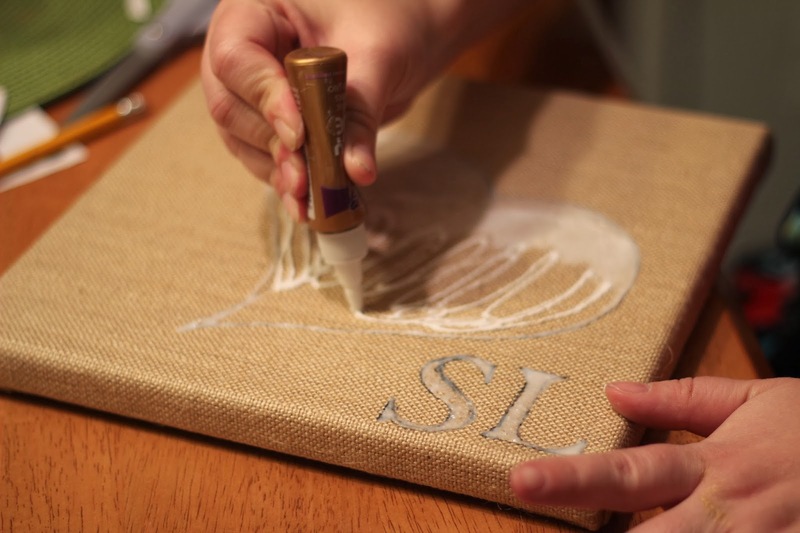 I hit-up Hobby Lobby on my way out of big city, ND and found these great burlap canvases. 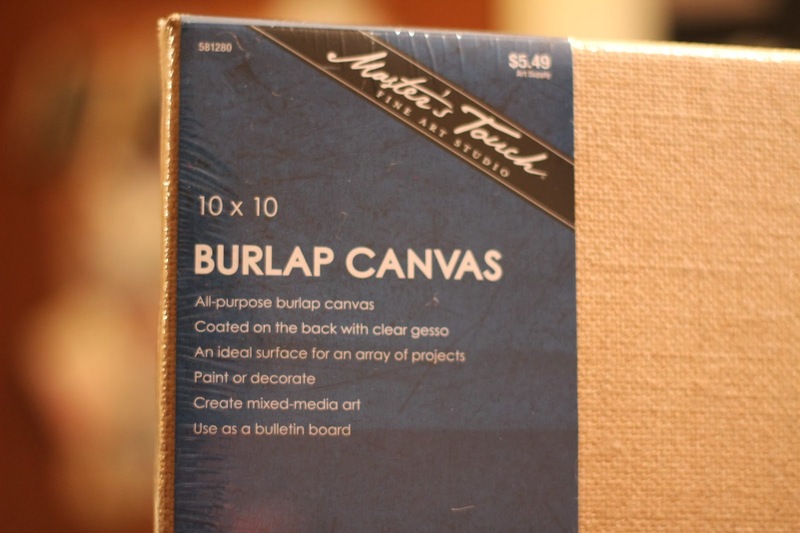 They ran me just over $5.50/canvas. The craft itself was pretty easy. First up, we had to settle on our artwork. We both decided to do the traditional "initial loves initial". 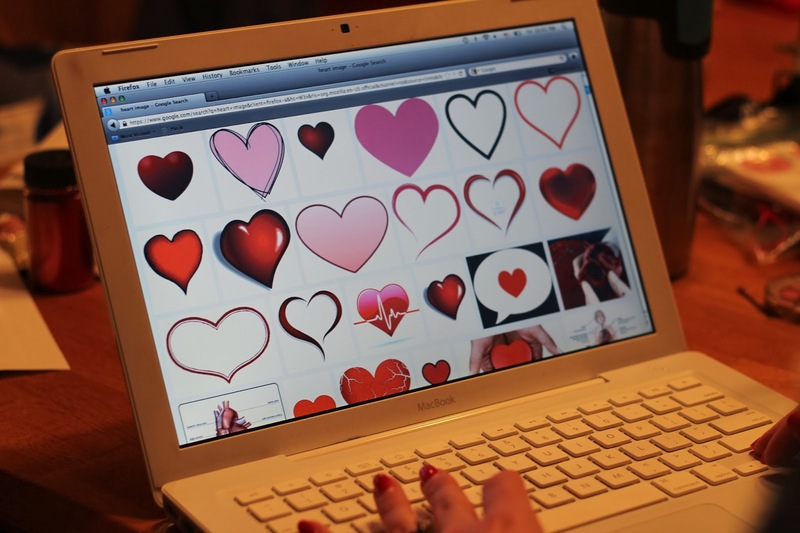 We went into google images to find the perfect heart. 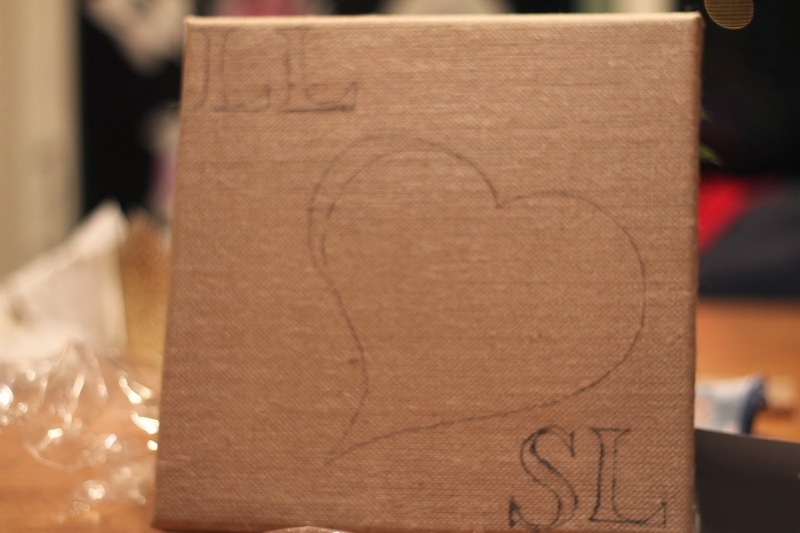 I also printed off the initials and traced them onto the canvas using a pencil. Using a tacky glue pen and tacky glue, I traced and filled the design. I rubbed it in with my finger so that it was smooth. Next, I let the glue dry for a few minutes so it was no longer wet, but sticky. 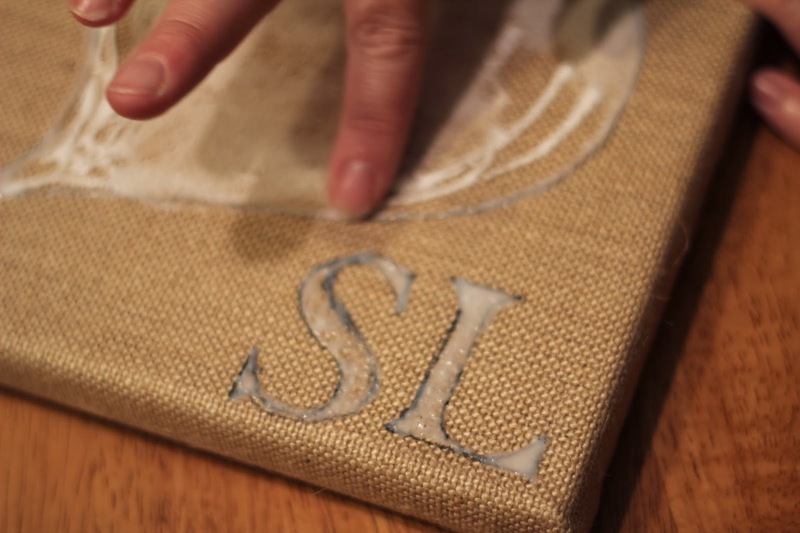 Now it is time to apply the gold leafing. 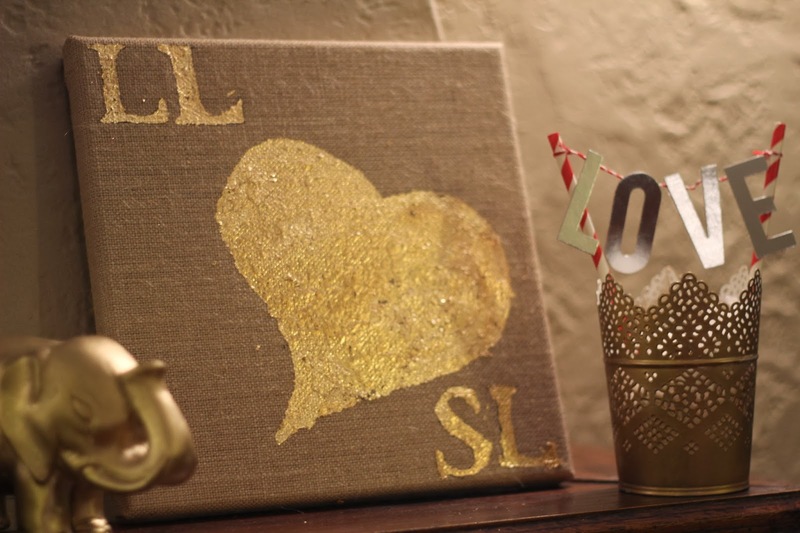 I purchased my gold leafing at hobby lobby for $7.99, but I used a 40% off coupon. You gently lay it on and rub it in. (This is not the easiest step...this product is kind of a nightmare to apply. Honestly, I have NO IDEA HOW PEOPLE GOLD LEAF PIECES OF FURNITURE!). Once applied, we let it dry over night. 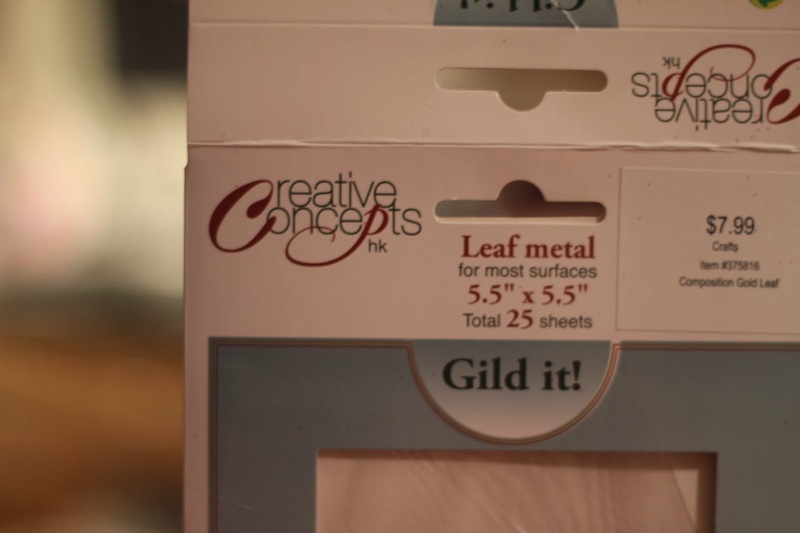 You want the glue completely dry prior to removing the gold leaf. 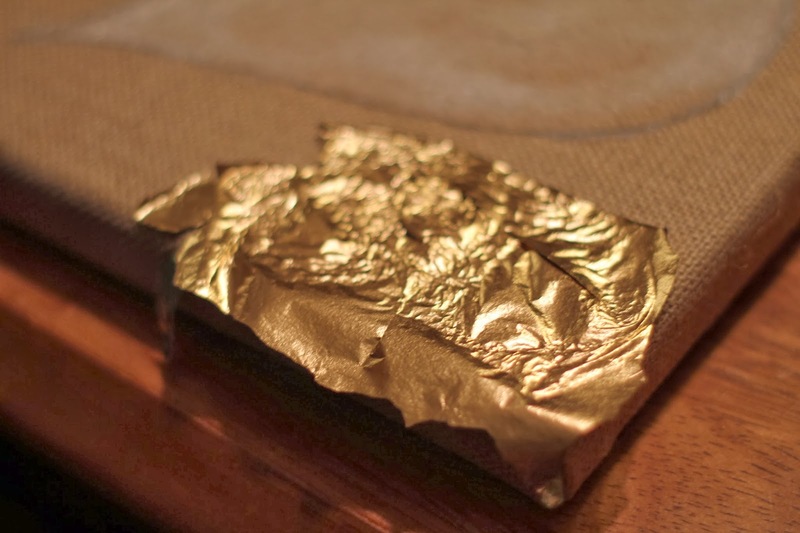 Then you simply peal away the excess gold leafing. I did have to go back and do a few touch-ups, but overall I liked the look. And, it looks wonderful on my mantel. This art project cost me under $10.00 to complete. Steve noticed it right away and thought it was super sweet!